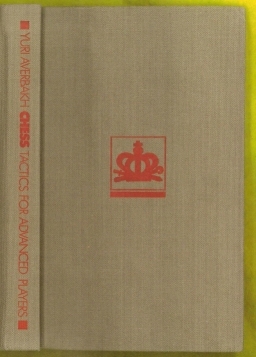 Any chess enthusiast knows how important tactics is in the "royal game" and how crucial it is to make a through study of this aspect of the game. But up to now opinion has been divided on the best way of studying tactics. 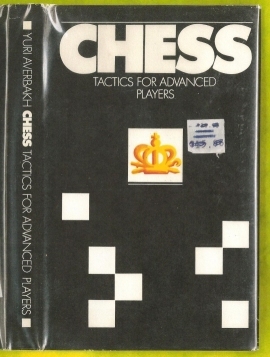 The well-know Soviet international grandmaster and chess author Yuri Averbakh has developed an entirely novel approach, which is expounded in the present work. 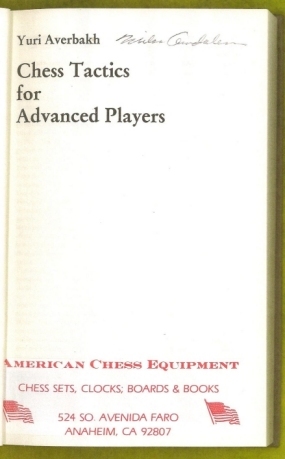 His main aim was to create a theoretical basis with whose aid the learner can effortlessly study the numerous and manifold tactical problems facing the chess player. Averbakh begins by examining the simplest solutions resulting from confrontations between different pieces. He then proceeds to analyze more complex situations and demonstrates the importance of the double attack. With instructive examples he proves that double attacks in the broadest sense are the basis of most tactical operations. Previous owner's name on title, old book sellers label on title. Jacket has old price sticker, points rubbed else a very good copy in a better than very good jacket.